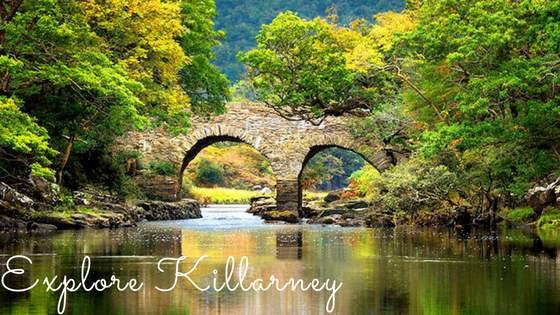 Killarney is a beautiful town located on the shores of Lough Leane in the southwest of Ireland. More specifically referred to as County Kerry. You can pass through this town on your way through the scenic route on way to the Ring of Kerry. The town includes many historic buildings, including St. Mary’s Cathedral. Just a stone throw across the bridge from the cathedral is Killarney National Park. Within this beautiful park is Victorian mansion Muckross House, Gardens, and Traditional Farms. Killarney is a wonderland full of a variety of different activities to do during your stay! This town is equipped with mountains, parks, cycling, and boat rides which are sure to satisfy anyone seeking adventure or just trying to relax on holiday! Interested in walking and sightseeing? Check out these places! Looking for activities to do with your family? Check these out! There are no shortages of places to stay in Killarney. Check out these top 10 hotels!